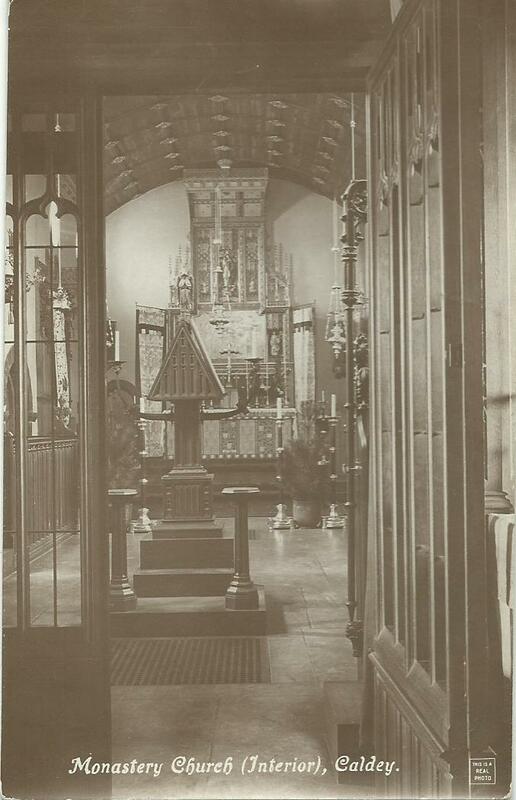 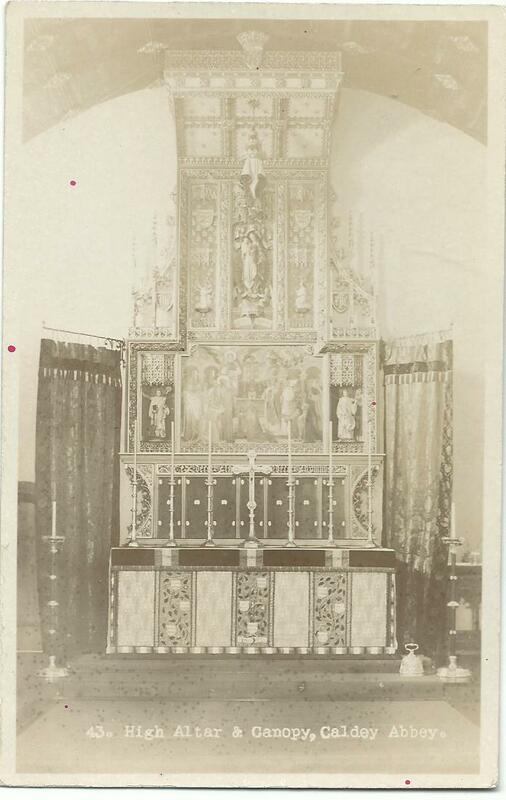 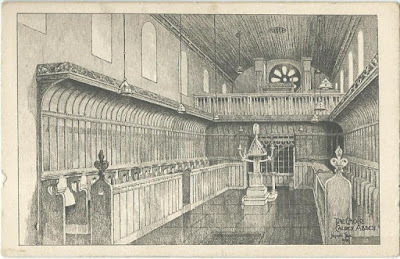 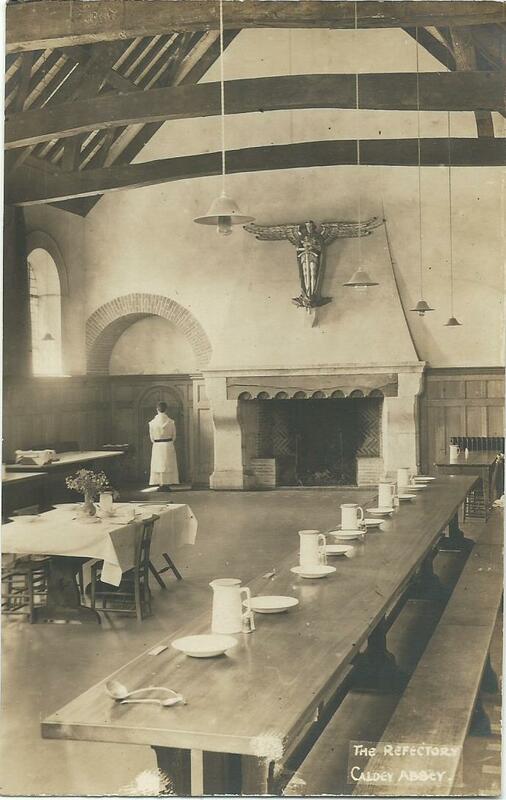 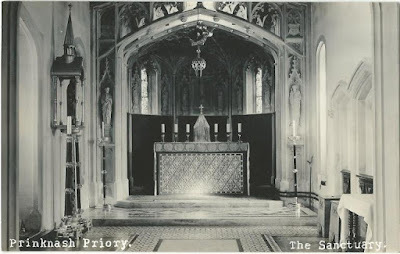 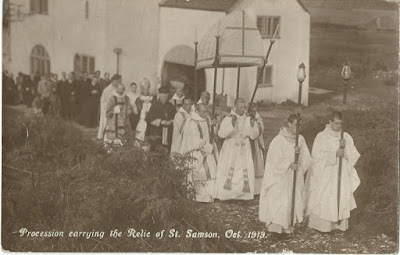 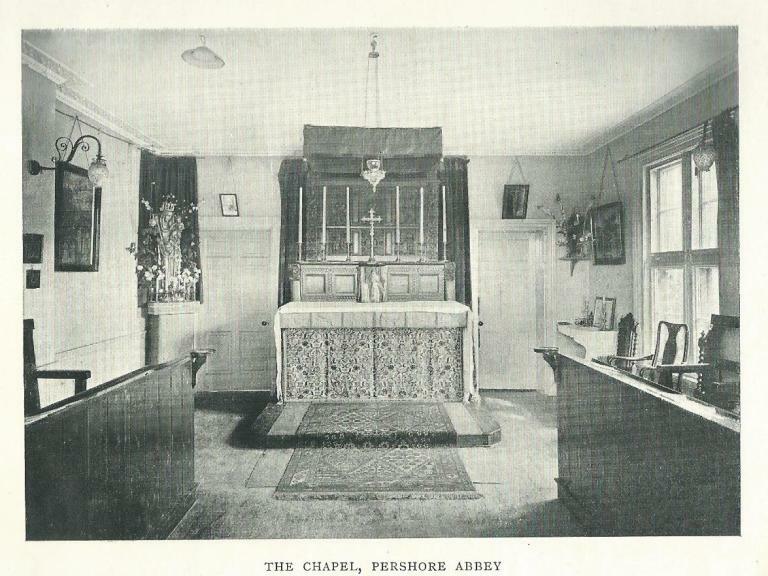 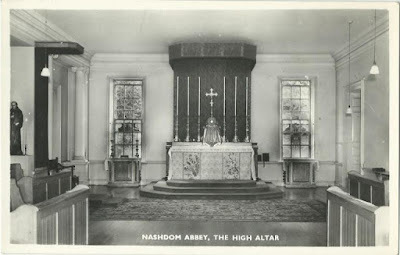 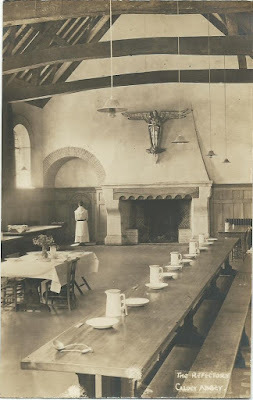 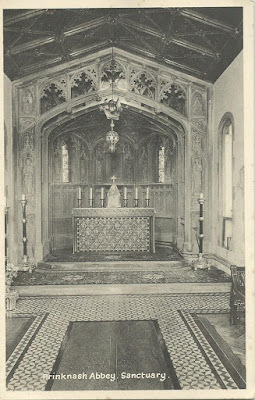 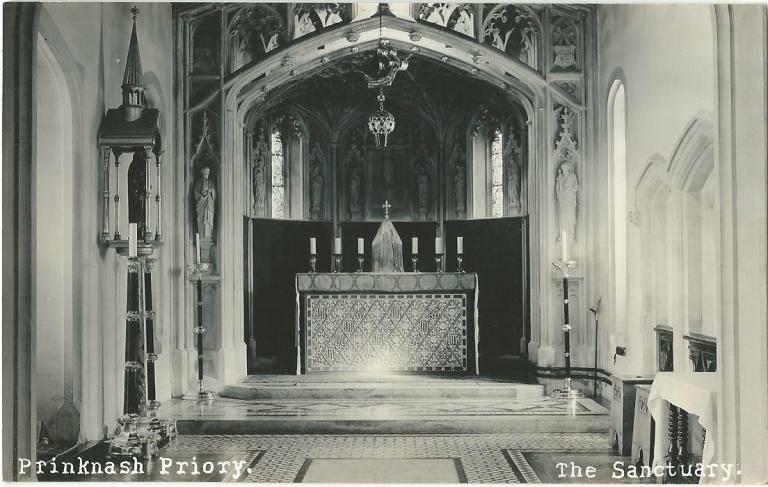 We are very grateful to Mr Richard Barton, who runs a blog called btsarnia, for his kind permission to reproduce the following images from one of his recent posts, photographs and drawings of the English Benedictine abbeys in the early 20th century. The first several of these are from Caldey Abbey, which was founded as an Anglican monastic community on the island of Caldey off the southern coast of Wales in 1906; in 1913, most of the community were received into the Catholic Church, while those who remained Anglicans moved first to a house that had belonged to Caldey called Pershore, and then to Nashdom. 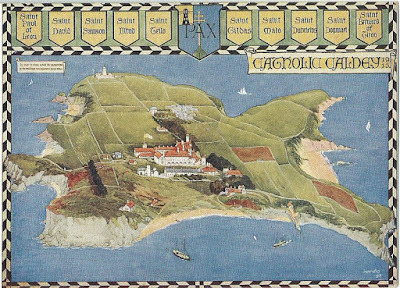 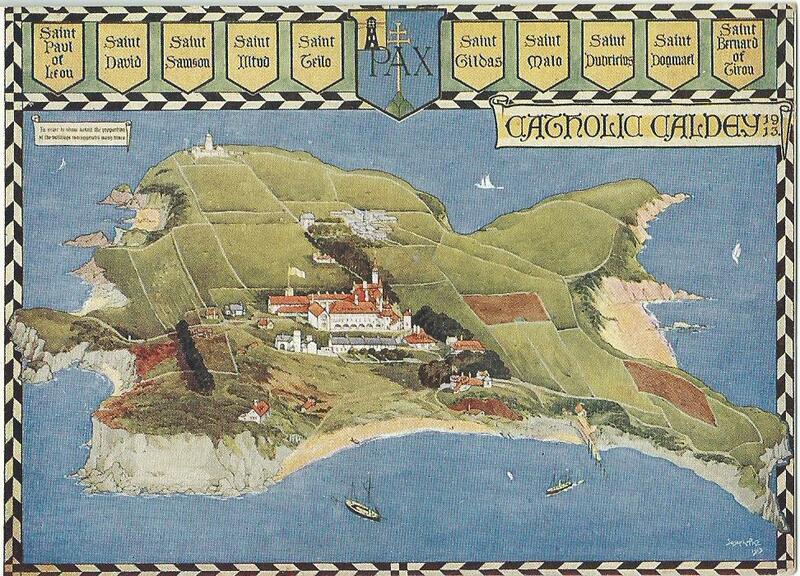 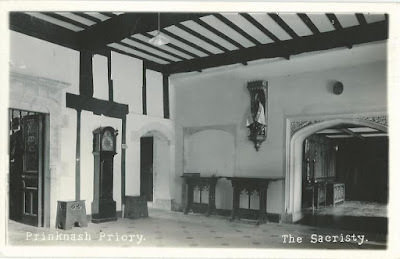 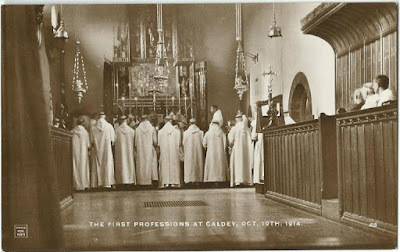 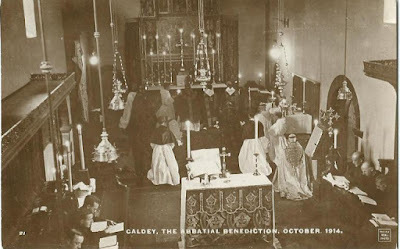 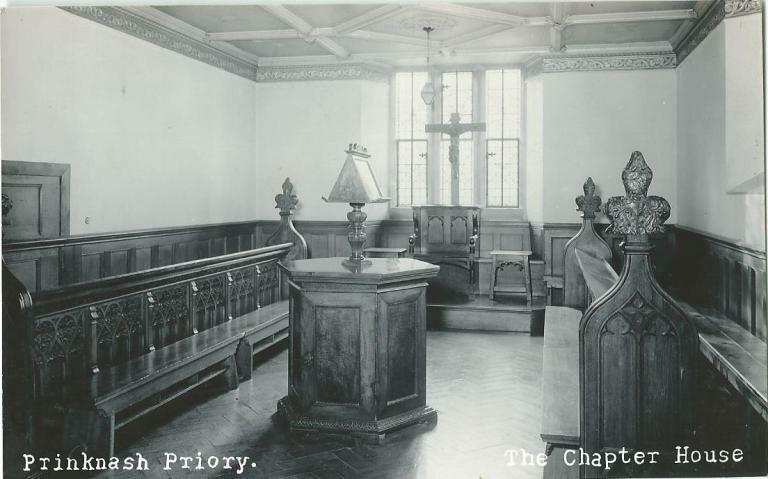 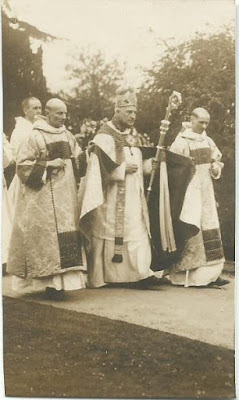 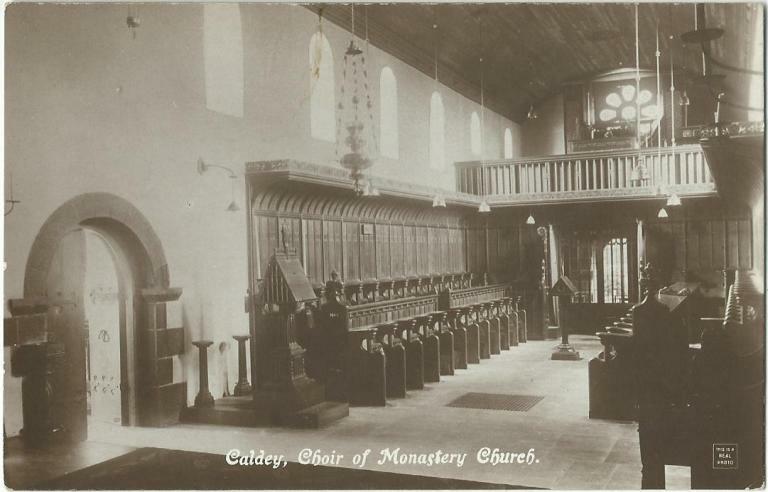 In 1925, the Catholic Benedictines left Caldey for Prinknash; Caldey itself was taken over in 1929 by the Cistercians, who still have it to this day. 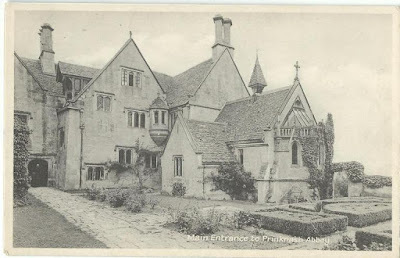 Here we give just a selection; there are a great many more to see in the original post. 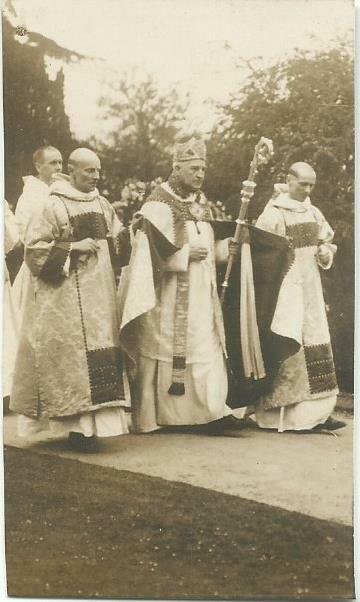 The abbot of Prinknash celebrating the Solemnity of St Joseph.